We’ve all seen those ads for gorgeous, glossy natural stone epoxy flooring. They promise a durable, beautiful floor for your basement or garage that is easy to maintain. In addition, they make their floors even more tempting to homeowners by claiming they are only $0.99 per square foot! Sign me up today, right? 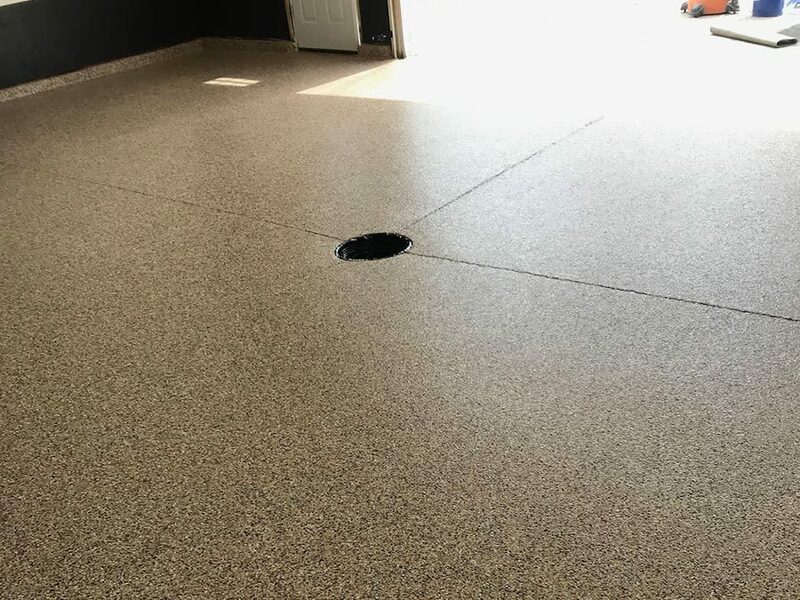 Not surprisingly, though, these epoxy floors cost quite a bit more per square foot than advertised, especially when you consider all the hidden costs and risks associated with them. The prep and installation work add significant cost per square foot. Before these types of “natural stone” floors can be installed, the underlying substructure must be properly prepared and leveled. 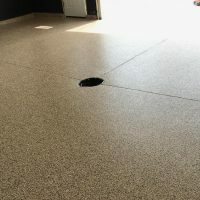 All this prep work adds up, making natural stone epoxy flooring options realistically average between $9.00 and $14.00 per square foot, even with that low sale price advertised. This reality leaves many people feeling they’ve suffered a bait and switch after responding to one of those $0.99 per square foot offers. The texture of natural stone epoxy floors means more work and upkeep costs. These flooring structures have individual stones mixed together with an epoxy. The result is a textured and porous stone-like floor. Unfortunately, this structure leads to many problems and repair costs for homeowners. Cleaning is time-consuming and difficult. The textured, porous nature of these floors makes it easy for grit and grime to settle in between the individual stones. Imagine bringing in your groceries and dropping a carton of milk or bottle of wine. You’ll have a difficult time cleaning the liquid out of the grooves and getting all the little shards of glass up. Also, a car’s tires bring in dirt, tar, and salt, all of which then settles into these grooves. 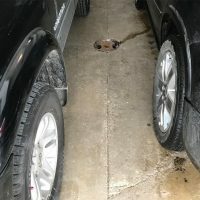 Oil and anti-freeze spills are also possibilities in a garage. 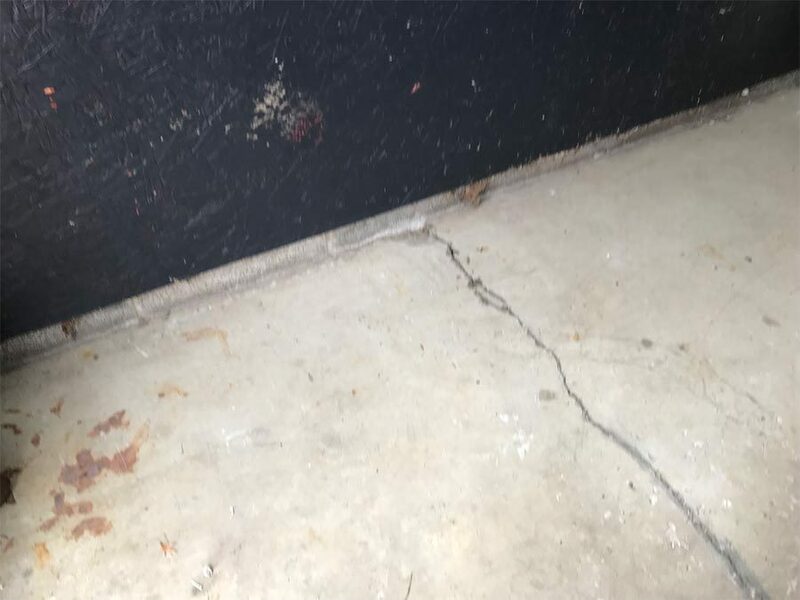 These chemicals, along with the spilled milk, have already seeped through the top layer to your concrete floor before you can get it cleaned up. In short, these floors are difficult to thoroughly clean, and most homeowners don’t enjoy thinking about all the gross dirt and spills lurking between those stones. Many companies require homeowners pay for professional cleaning yearly or lose their warranty. 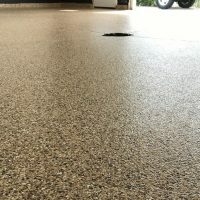 Your installer probably knows that the textured, porous surface of your epoxy stone floor will need more than a vacuum and mop to really clean it. Indeed, most of these flooring companies suggest you buy their “specially formulated cleaner.” Moreover, many contracts warn that if you opt out of professional yearly cleaning—done by them at an additional cost, of course,—your floor’s warranty is voided! This adds up to hundreds of dollars each year, just to keep the floor clean. 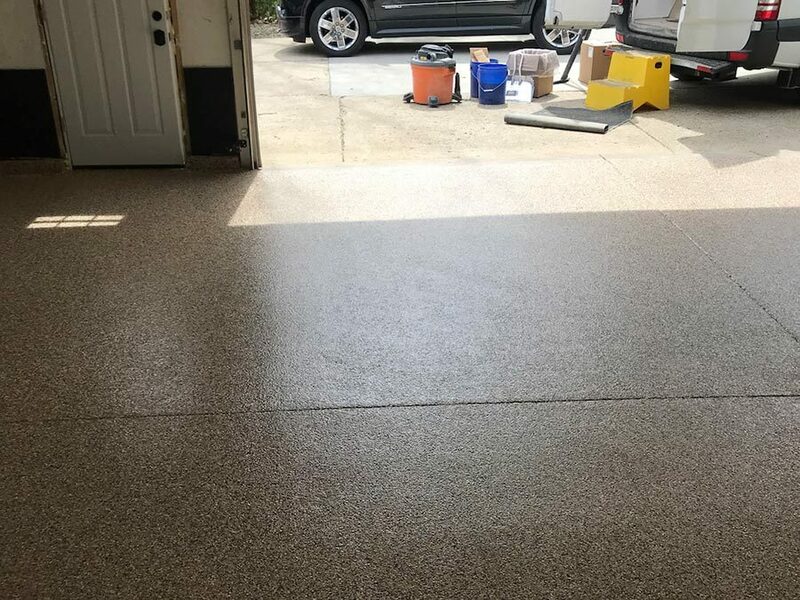 Natural stone epoxy flooring in Ohio garage show significant mildew, grime build up, and damage after a couple of years of Ohio weather. 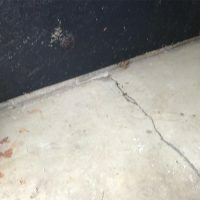 These floors cause mold and mildew. 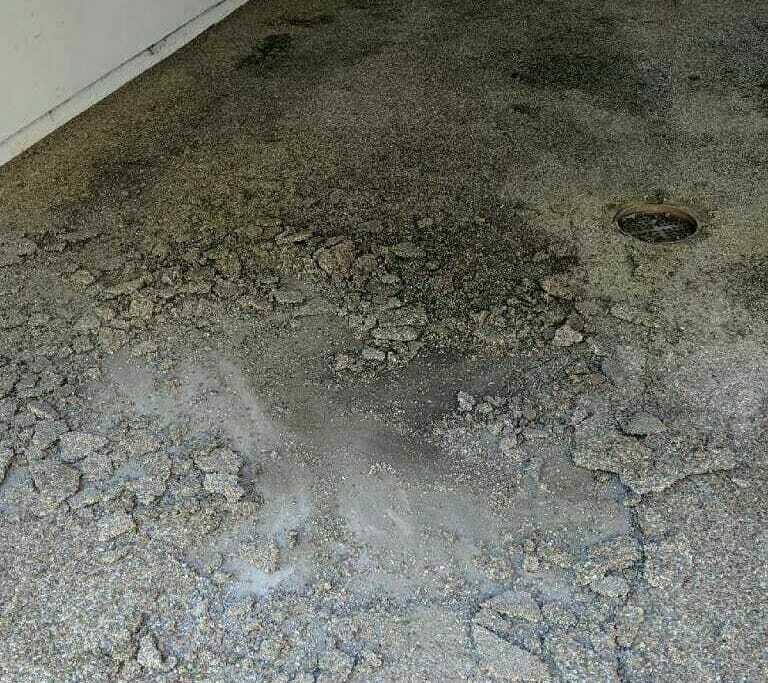 These types of epoxy floorings are not a solution to your mold and mildew problems in the basement as they claim. Again, their structure allows water to get down the cracks and crevices between the individual stones. Once the water gets in, there’s no easy way to get it out. As a result, it settles to the bottom of the flooring structure, much like what happens with carpeting in a basement, where it encourages mold and mildew—and the smells associated with them—to form. Eventually, this means the flooring itself can begin to weaken and crack. Such damage requires repair work at a significant cost. Often times, the only solution is to completely remove the floor and replace it completely. Ohio’s extreme weather makes costly repairs likely. 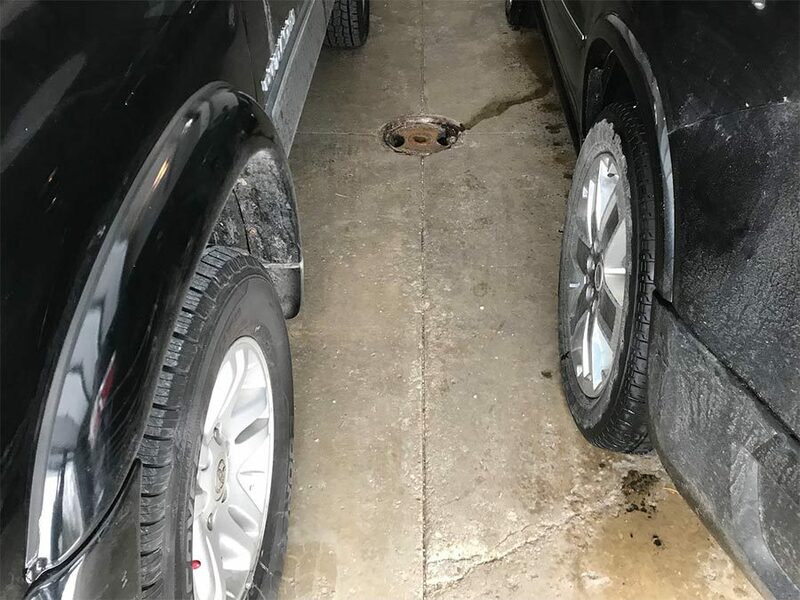 Any flooring system in a garage that allows water to settle into its structure cannot properly withstand the demands of Ohio’s weather. 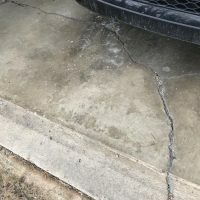 To explain, Ohio’s freeze and thaw cycles mean that any water lying within the floor will expand and contract as the temperatures rise and fall. During cold days, the water expands and puts pressure on the stones. Then when the weather warms up, the water contracts and the stones often are now loose. Once loose, stones can come out and leave more exposed areas that are even more susceptible to water damage. In the end, this reality means more repair costs. The floors we install in garages and basements are superior to these natural stone options in several ways. Easy to Clean and Maintain: Our finishing process give you enough texture to avoid slipping but is non-porous to keep out moisture. That’s because we use a polyaspartic polymer. 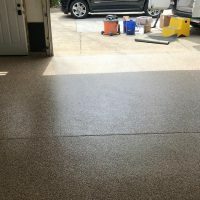 Cleaning your garage floor is as easy as spraying it down with a hose. No special cleaners or professional cleaning contracts required. 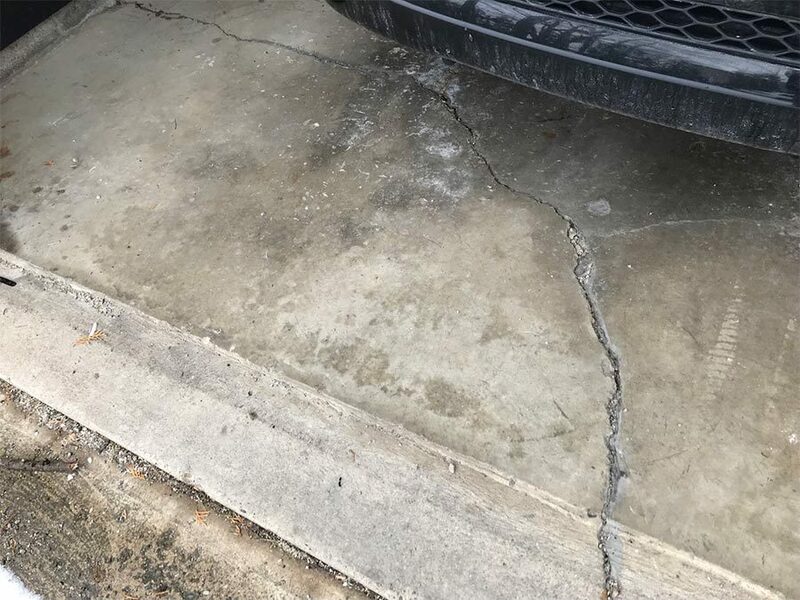 Withstand Ohio’s elements: Our polyaspartic polymer will not deteriorate due to salt exposure, and it withstands moisture. Thus, you can expect your floor to keep its superior look and quality for about 15 years with normal wear. Backed by Local Company: We’re not a national chain. We’re a locally owned and operated business who never uses subcontractors like our competitors do. For homeowners, this means a fully trained, knowledgeable team will plan, install, and clean up your entire project. Also, it means no bait-and-switch promotions. At Ohio Garage Interiors, we know that we’re serving our neighbors and friends, so we hold ourselves to the highest standards. Straight-forward Pricing: You won’t see us run any bait-and-switch pricing promotions. Instead, a trained professional will come to your home at no cost and give you a full, detailed quote. 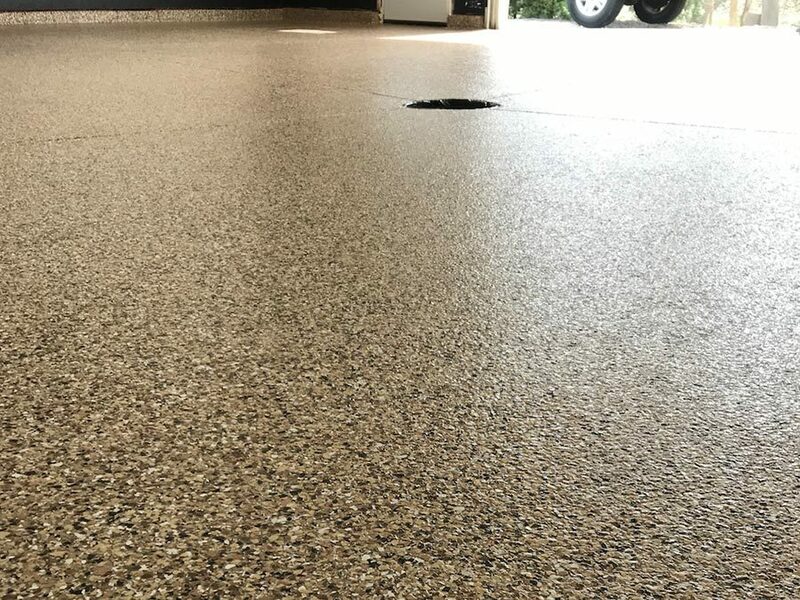 Call Ohio Garage Interiors today for a superior alternative to natural stone epoxy flooring for your garage, basement, or patio.